Wondering if you can export a flipbook in JPEG format? Well, wonder no more. 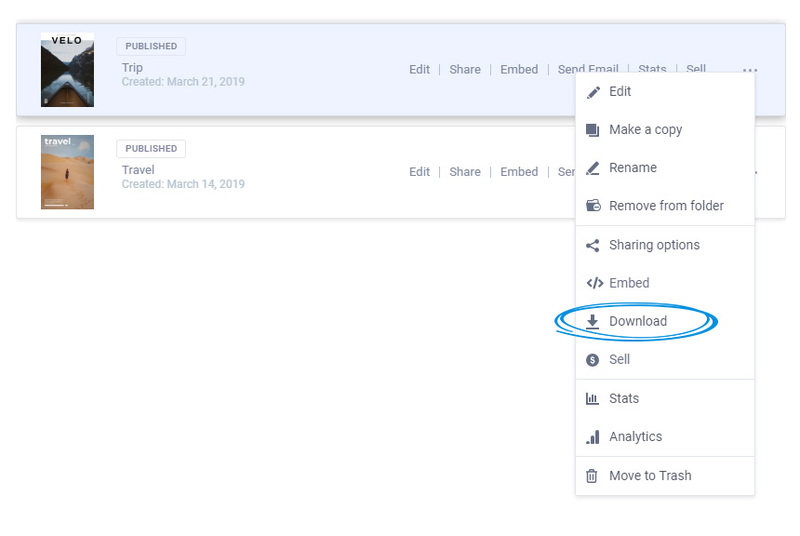 You can export in JPEG format if you are subscribed to any of our premium plans. It doesn't matter if the flipbook was made from scratch or by uploading PDF files. 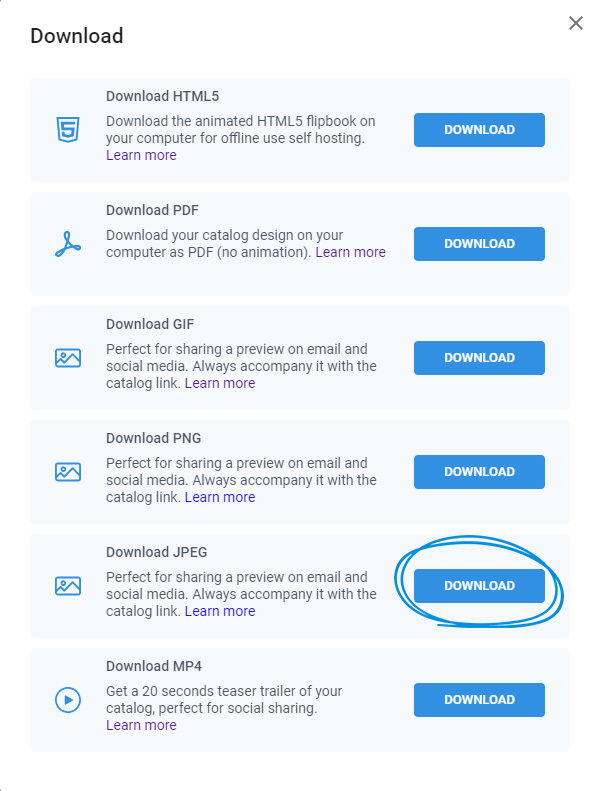 In order to start the downloading process, go to the My Flipbooks section, click on the three dots next to the desired flipbook, and select the Download option. A pop-up will be opened and there you will see a Download JPEG option. Click on the Download button near it. And you're done! Now your work will be downloaded page by page in an archived folder on your device. Important: Please keep in mind that the JPEG download is a compressed version of the flipbook, so if you want to have a higher resolution file you should download your flipbook in a PDF format.